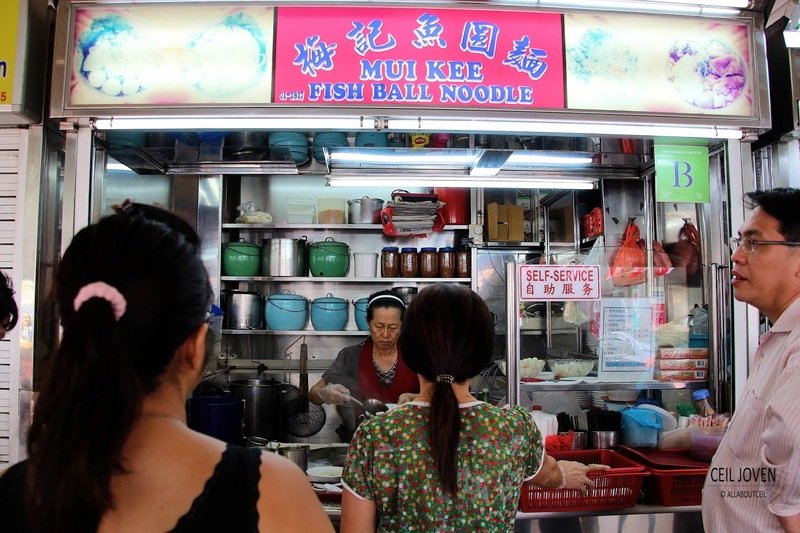 ALL ABOUT CEIL: Bak Chor Mee. It was that queue that gotten my attention to this noodle stall. This was the only stall that gotten a queue when i was there for lunch. I was curious enough to join in the queue to check out the stall. I waited for a good 10 minutes before the smiling Auntie asked for my order. 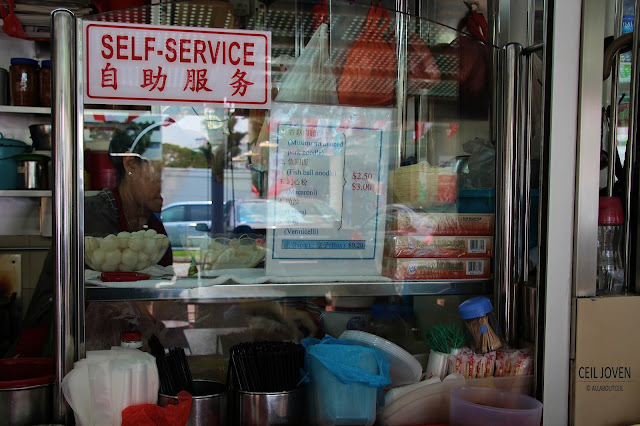 I told her i wanted the larger portion of the mushroom minced meat noodle for $3. I paid her then waited for a few minutes for it to be ready.This stall offers Fishball Noodle, Macaroni, Laksa and Tang Hoon for the selection of $2.50 and $3.00. 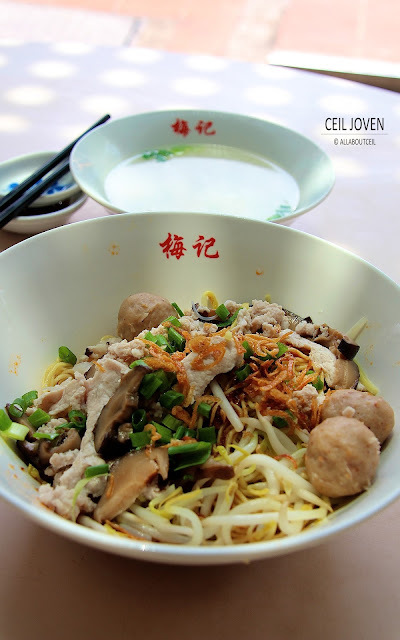 A good portion of noodle is served with 3 pieces of meatballs, braised mushroom, slices of lean meat and a handful of minced meat. It was served in a bigger porcelain bowl that have got their stall name printed for the $3 portion. 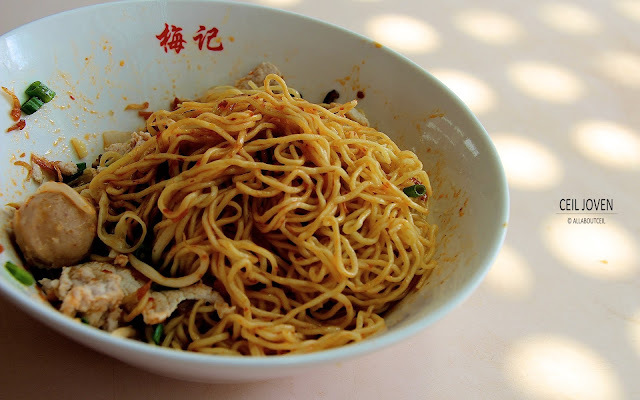 A brunch of beansprouts was added too to add the desired crunchiness to the noodle as well as to make it a slightly healthier choice. It was then garnished with chopped spring onion and dried shallots to enhance its flavour further. 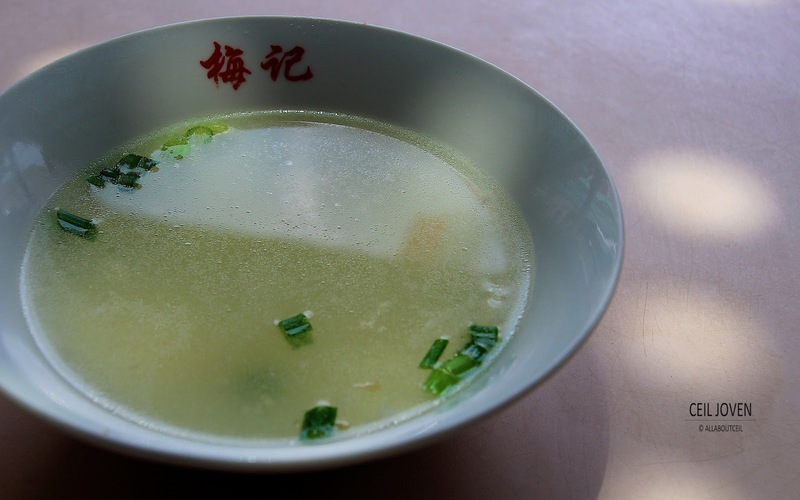 A bowl of hot soup was served along with the noodle in a small porcelain bowl that gotten their stall name, too. It tasted rather light with just a bit of peppery taste with chopped spring onion added to it. I actually loved the porcelain spoon with the porcelain saucer that we do not usually get to see these days. 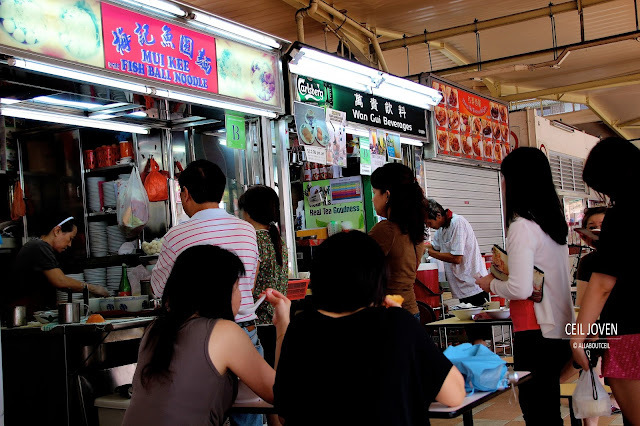 Most of the hawker stalls are using the plastic spoon with plastic saucer. 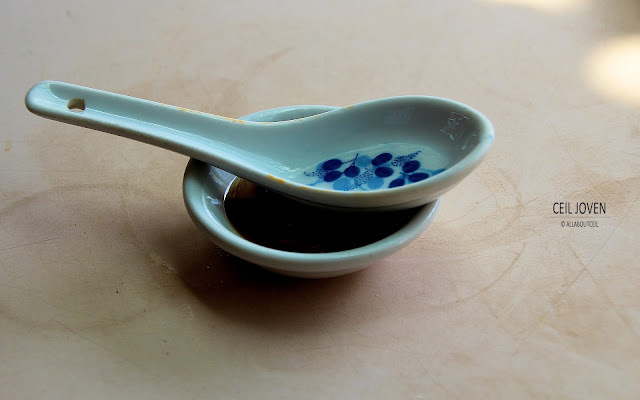 Some of these hawker stalls are using the disposable spoon, disposable saucer with disposable chopsticks or even have it served in a disposable bowl even for dining there. I personally did not find those disposable wares to be appealing. 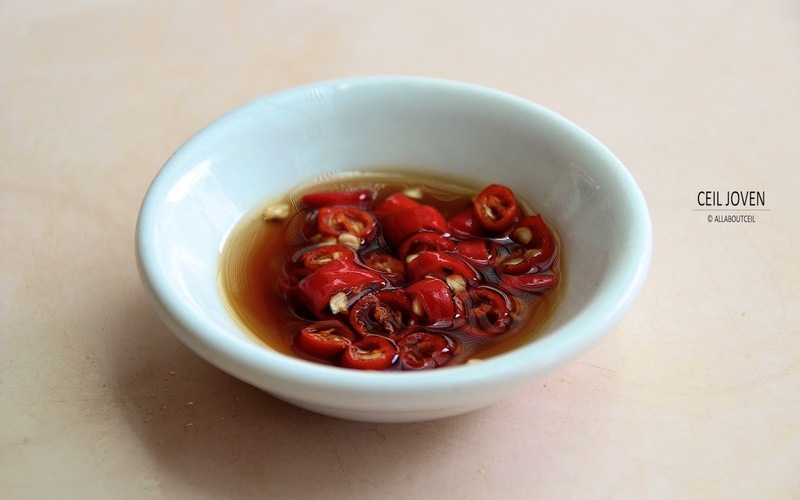 Bits of red cut chilli in the light soya sauce served in the saucer came together with the bowl of noodle. I tossed the noodle well with the sauce underneath. Then, i was eager to have the first mouthful I totally in love with the taste. Though the chilli did not taste particularly spicy but it complemented the noodle with the ingredients well. The ingredients used have got a distinct freshness. I liked the meatballs the most. It is just the taste that i like. 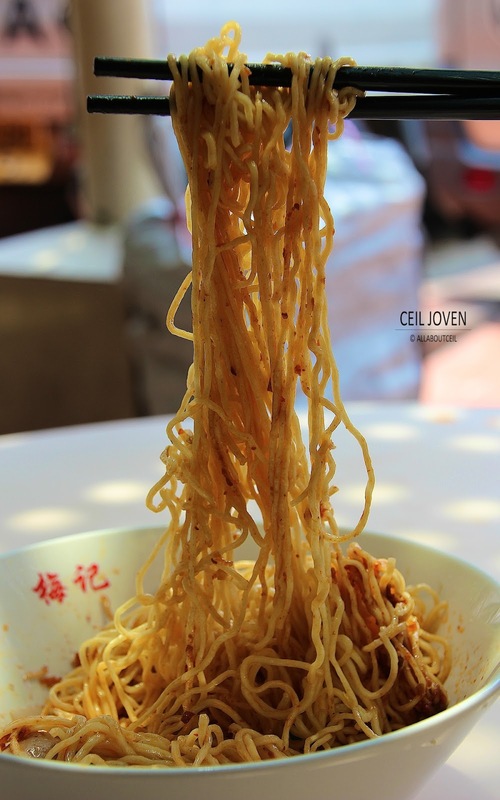 The texture of the noodle has got a delightful springiness with just the right chewiness to make it desirable. 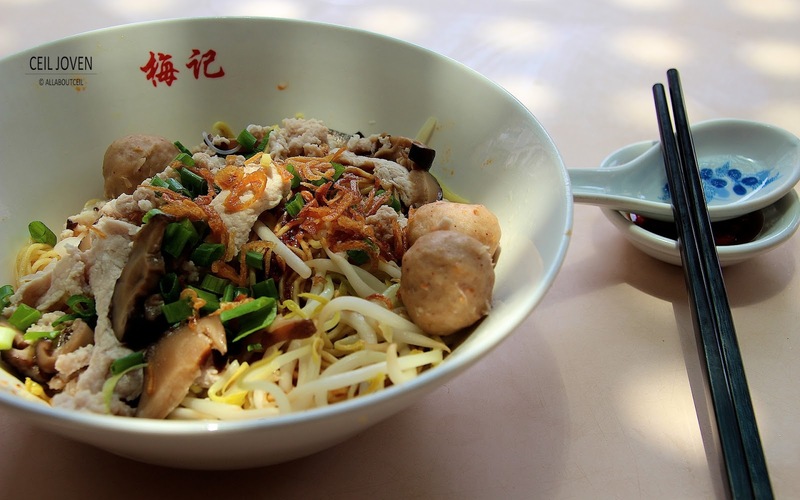 This bowl of noodle is worth coming back for more. The queue was still there when i done eating the noodle and i guess many are probably the regular customers that have been supporting this stall. This is likely to be another hawker passionately serving good quality food at an affordable price. This is a great find indeed.